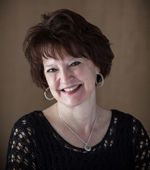 Brenda is a native Texan with 29 years in the real estate industry here in North Texas. She is the Past President of the Northeast Tarrant County Association of REALTORS and was the REALTOR of the Year in 2000. Brenda has served on commitees, task forces, as chair and as a Director for local, state and national Association of REALTORS. She currently serves on the Legal Review Committee and is a TREPAC (Texas Real Estate Political Action Committee) Trustee both for the Texas Association of REALTORS. Brenda also serves on the Board for MetroTex Association of REALTORS and North Texas Real Estate Information Systems (NTREIS) - MLS. Her passion is her agents. Helping them reach their goals and watching them grow. United Country Real Estate Fort Worth and United Real Estate DFW Properties real estate agents and auctioneers have learned to Expect the Best from their Broker. Isn't it time for you to Find Your Freedom.